Paw’s Dream will provide owners peace of mind while away from their beloved companions. We will accomplish this by offering exceptional care & comfort to all of our guests. We will provide the highest quality products & most advanced techniques available in the industry. We will give back to our community on a regular basis through charitable contributions & events. Simply put, we will be the best! No more feeling guilty at work while your dog is sitting home all day filled with anxiety waiting for your return. No more need to worry about your dog being destructive or bored! When 5:00pm rolls around and you’re drop-dead tired after a long day at work… GUESS WHO’S READY TO PLAY… and when your ready to go to bed… GUESS WHO’S BEEN SLEEPING ALL DAY AND READY TO ROCK & ROLL! Drop off your loved one at Paw’s Dream Doggie Daycare and let them play all day with their friends so you’ll both be ready to sleep when the time comes. Monday – Friday 6:45 a.m. – 6:00 p.m.
Monday – Friday 6:45 a.m. – 9:00 a.m.
Saturday 8:00 a.m. – 9:30 a.m.
Sunday 8:00 a.m. – 9:30 a.m.
At Paw’s Dream you can rest assured that your dog will be pampered and well taken care of while you are away. Your dog will be romping around with all of their friends during the day and will hardly notice you’re away. No more anxiety sitting in the kennel just waiting for you to return. We do use crates at night because of all the running around all day… we want to make sure they get a restful nights sleep. Please feel free to bring their favorite blanket to give them that “home away from home” feeling. Because we are a cage-less facility during the day, all dogs boarding with us must pass the same requirements as doggie daycare clients. Are you tired of fighting your pet in the bathtub? 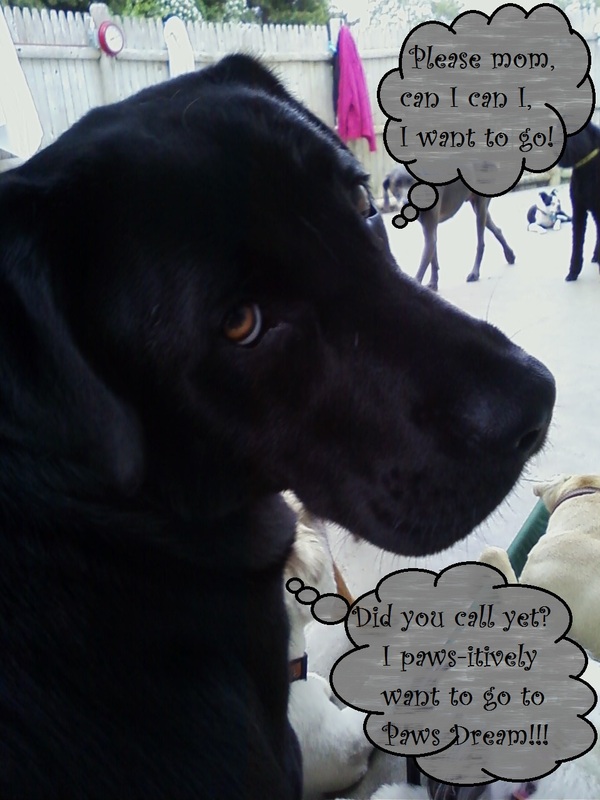 If so, let Paw’s Dream do the dirty work for you! After a day of fun at daycare, we’ll pamper your baby in our grooming spa and get them clean as a whistle for your arrival. Paws Dream is proud to present Obedience and Behavior Modification Training by Joe The Dogman. Joe’s training philosophy works directly with the dog’s natural pack-hierarchy instincts to introduce a social structure that they will immediately understand and respect. For more information, please visit www.joethedogman.com. Lesson I: We introduce the correction collar and practice the LOOSE LEASH WALK and the SIT AND STAY. Lesson II: Your dog will learn to HEEL, walking on your left and focusing attention on you. We will discuss SEPARATION ANXIETY, HOUSE TRAINING and other behavioral problems. Lesson III: Why dogs don’t always COME WHEN CALLED – how to make your dog WANT to come to you, and the DOWN STAY are covered in this lesson. Lesson IV: COME as a command and discussion of DESENSITIZATION TECHNIQUES to cure separation anxiety. Lesson V: FINISH has the dog go from a SIT in front of you to A HEEL at your left. STAND STAY lets the dog move its head or tail but all four feet must remain on the ground. Lesson VI: MOVING DOWN, the start of DOWN STAY at a distance. Run on a five week rotation (see class list above). Please contact us for class schedules and sign-up. Are on a drop-in basis, all are welcome for a refresher and socialization with other dogs. Purchase a Paws Dream Club Membership and SAVE!! NOTE: Dogs joining us for our Bed & Breakfast plans only must also pass these requirements. Dogs which are friendly & social around people as well as other dogs need only apply (Nonpossessive of space & toys).